Lee Ryder Lamination, introduces the new LRL FT-10 Foil Fuser that lets you add dazzling foil color to any laser printed or copied document. With the LRL FT-10 Foil Fuser, transfer becomes very simple and automated. The user is able to use rolls of foil instead of feeding individual cut sheets. The costs of foil and labor are greatly reduced and the jobs look more professional. Very Simple: Use your laser printer or office copier to put a toner image on paper, cover stock, or labels. 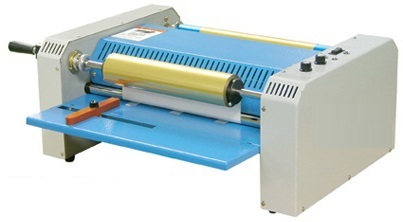 The LRL FT-10 Foil Fuser	handles paper widths up to 12". Very Quick: Turn out awards, menus, announcements, labels, and hundreds of other short run jobs in just minutes...not hours. 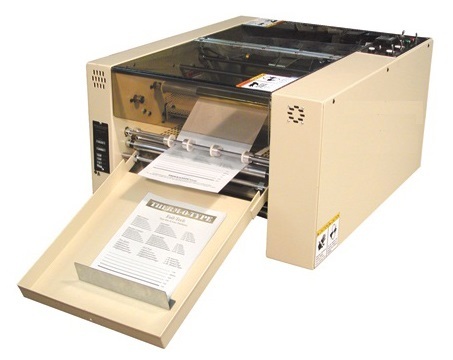 The LRL FT-10 Foil Fuser	is a New Profit Center or a New Business Opportunity. If you have a LRL FT-10 Foil Fuser	machine in your office, you can turn out jobs when you need them, even at the last minute. It is clean and safe. No inks, no dyes, no chemicals, no mess. LRL FT-10 Foil Fuser	is easy to use with no special training required. Produce expert-looking projects in minutes. Add rainbow assortment of foil color to any laser printed or copied document. Accepts sizes up to 12" wide. Great addition to any copy shop, printer, resource center, crafts & keepsakes retailer, etc. If it is color and sparkle that catches your eye, then the LRL FT-10 Foil Fuser	is for you. Apply color foiling to any copied or laser printed document, including announcements, menus, business cards, and more. 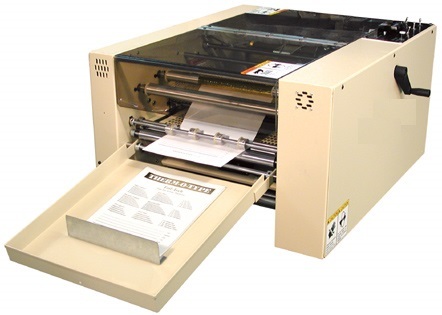 This product promises to be a real value-added moneymaker for anyone doing commercial copy or print shop work. Perfect compliment to your business desktop publishing or printing center. Easy to use; no extensive training required. Add foil color to documents up to 12" wide. Over 25 foil colors available. Produce expert-looking projects in minutes. 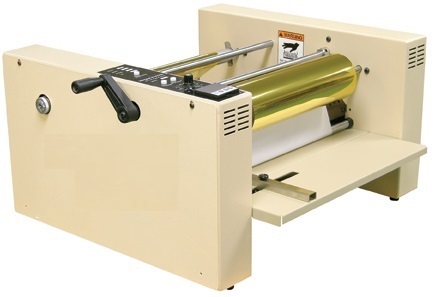 Free rolls of standard color foil with the purchase of a LRL FT-10 Foil Fuser! PLENTY OF FOIL ROLLS IN STOCK. SPECIAL SIZES ARE AVAILABLE, CONTACT FOR QUOTE.